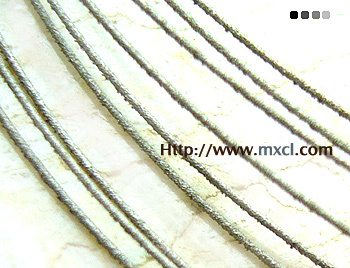 Electroplated diamond wire saw is one of the most valuable tool capable of cutting superhard materials. The saw is produced by electroplating a thin layer deposit on Ni film on steel wire (matrix)followed by diamond abrasive consolidated on Ni surface. Comparing to traditional tools, diamond wire saw offers unique overall cutting abilities such as negligible surface damage, small deflection, very thin section and slice, uniform thickness etc. It can also cut very large size silicon ingots and permit more material usage, hier cutting efficiency and output with higher turnover. It is special suitable for cutting sapphire substrates for LED manufacturing.